It’s that time of the year when you take out all your jackets, coats, and blankets from the closet to prepare for the blistering cold. But for many of us, staying warm is just not enough; we need to look presentable wherever we go and no matter what the season is. So how do you look stylish and keep yourself warm at the same time? You bank on these five winter wardrobe must-haves! Here are five “in vogue” accessories that I think will give your winter look a dash of style, a pinch of color, all without compromising on your comfort. Read on and let us know what your favorite attire is in the comments below. No matter what that fashion magazine tells you, trench coats are never going out of style. They are long and wide enough to cover almost your entire body and save you from the chills. A silk scarf is a winter wardrobe basic. 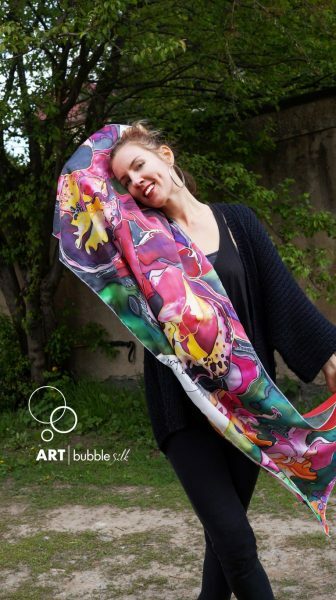 There’s nothing like a colorful silk scarf to keep yourself cozy in winter and stay classy at the same time. Natural silk has this great ability to retain moisture, which makes it a perfect winter accessory for women. You can even add a dash of your personality on your winter wardrobe with hand-painted silk scarves. When you are not on a business trip, chuck the trench coat for an oversized sweater. While a sweater is definitely one of the top things every woman should own, I feel it makes us look more composed and smarter. While I suggest wearing longer silk scarves that can also cover your hair, a fluffy beret cap can be the perfect solution for messy hair during winters. 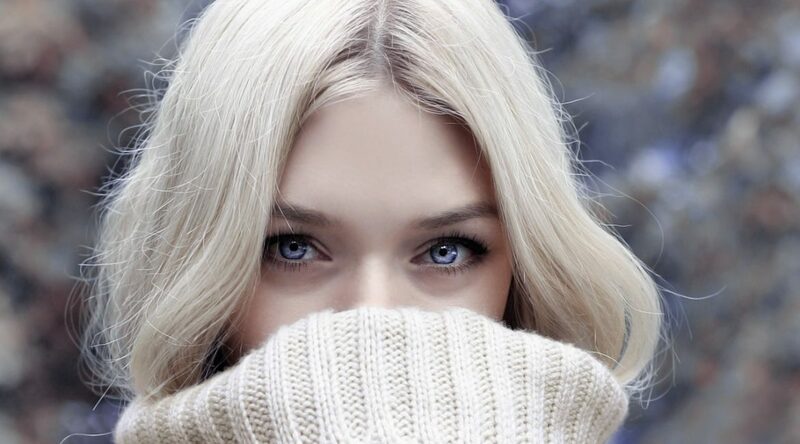 Just keep those tresses covered and don’t let the breeze compromise with your winter fashion. You can experiment with different combinations to go with your style as even a single solitaire item – like a colorful custom-designed silk scarf – can revive your entire look. If you want to have a complete winter attire and not raise eyebrows while walking through the office cafeteria, make sure you swap, match, and contrast per your taste and mode. If you already have these must-have accessories, then it’s time to get a little bit more creative. 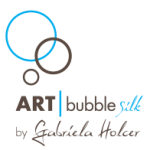 Head over to Etsy and browse through the ARTbubbleSilk collection to add to your winter wardrobe must-haves.